Home / Articles / Is Your Psychic Reading Wrong Or You Just Don’t Want To Accept It? Is Your Psychic Reading Wrong Or You Just Don’t Want To Accept It? Did you ever get a psychic reading and after you left the psychic (or hung up after a psychic reading by phone)….did you ever think to yourself: “Yeah, right. That’s never going to happen!” Right there, with that disbelieving thought energy, you blocked the best possible outcome that the psychic saw for you. The outcome was there until you – even at the most unconscious level – decided that you either can’t have that particular outcome or you really don’t want that but you want something else. Let’s say a person contacts me, the reader, through a live telephone reading, and is worried that her husband is having an affair and that he might leave her. I read that he is in fact having an affair but that it won’t last long and he will not be leaving her. The caller is relieved in the moment, but after she hangs up, her unconscious goes to work and before long, she decides that this is good ammunition for HER TO LEAVE HIM! You see, she really wanted to leave him all along but couldn’t face up to it. The reading was the key that opened up another new and different possible future! HER thoughts, HER emotions and HER beliefs changed the outcome of the reading. In the reading, I had seen that her marriage would stay intact based upon the energy that her husband would not be leaving her. I wasn’t necessarily wrong. Her marriage would have stayed intact. He wasn’t going to leave her… she was going to leave him. But she didn’t asked me if she was going to leave…only if he was going to leave her! Had this been a full psychic consultation and not just a quick 10 minute phone reading, then I would have read more deeply into her psyche and seen the next level of what would be coming for her and her marriage. This is a good reason why short readings are not as reliable as longer readings where the energies deepen and more is revealed. This is why I strongly believe that our TEAM email readings that we have are such extremely invaluable tools. They literally give 100% more insight and advice into any given situation or concern. So, When You Ask “Why was my psychic reading all wrong?” Ask instead: “What is inside of me?” What are my deepest thoughts, my most highly charged emotions, and my most profound beliefs? Use the psychic reading to KNOW THYSELF. Find out if you really do want that outcome or this outcome. Use the psychic reading to jump-start your own inner knowing. Look to see if you are blocking the outcome…especially if it is a good outcome! The ego itself is not always the deciding factor! This is another level of understanding why your psychic reading is not always correct. 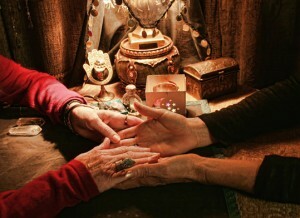 Some psychics read primarily from the spiritual level. I read from this level first and foremost but I have also found that some clients simply don’t want to hear from that realm. Many callers work only from the level of ego and what is the ego but the CONTROLLER! If we always listened to SPIRIT, we would be much happier and much more prosperous. When I sense that a caller is not able, willing or ready to hear the full and complete message of SPIRIT, I simply give them what they are able, willing or ready to accept. This is called staying in the primary process. The ego is always working within the realm of the primary process. SPIRIT is in the realm of the secondary process. Again, a longer reading allows for deepening into the realm of SPIRIT. Always keep this in mind when getting a psychic reading! So….What If Your Psychic Reading Is All Wrong? Go back and review your question. Did you ask the question in a way that the ego was controlling the outcome? Review the answers. Was the psychic working to take your deeper into the issue but the ego didn’t want to go there? Check out your own inner voice. Did you have a niggling little voice inside of you that was telling you what you REALLY need to know? Learn to hear the voice of SPIRIT. You own inner voice is the voice of SPIRIT when you put the ego behind you! Who do you think Jesus was talking to when he said, “Get thee behind me Satan!” Ego is often a block to full connection with SPIRIT. And One More Thing…No Blame! You can never really blame the psychic if the psychic reading is all wrong. Blame is a mechanism of the ego to give power over to someone else! Be empowered and never let blame be part of your experience… even self-blaming. Self-empowerment means no blame, no shame. Each experience you have is a chance to grow and learn. When you blame another, you give your power away. When you blame yourself, you wound yourself. Use This Affirmation: I am a powerful being taking full responsibility for my choices, my actions and my thoughts. No one is to blame, not even me!